Lee, Charles H. (Charles Hamilton), 1883-1967, “Big Pine Creek, South Fork, from forebay of Power House No. 1. 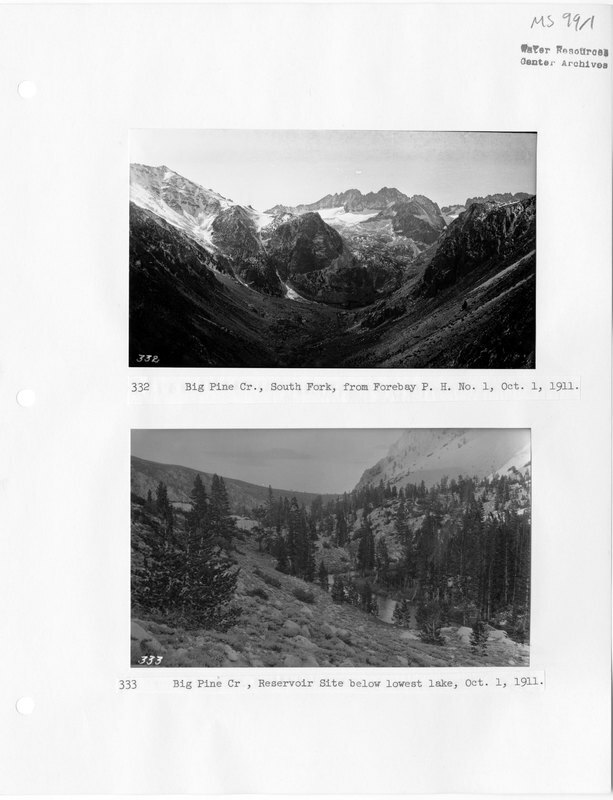 & Big Pine Creek, reservoir site below lowest lake,” Digital Collections, accessed April 19, 2019, http://digilib.ucr.edu/items/show/1476.